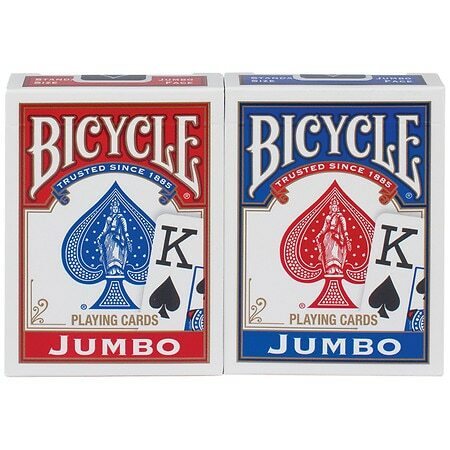 Bicycle Jumbo Playing Cards2.0 ea. Every time you open a fresh deck of Bicycle you are handling 120 years of playing card expertise. We proudly craft each deck using custom paper and coatings, so you can trust Bicycle performance hand after hand.